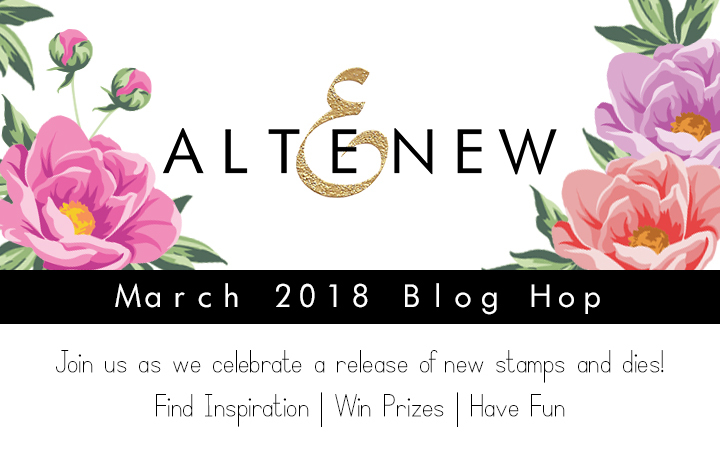 Hello Everyone, welcome to Altenew March 2018 Blog Hop! We have lots of inspiration for you. You should have arrived from Terhi Koskinen's blog. If this is your first stop just click HERE to start at Altenew blog. First, I stamped the sentiment on a brown cardstock and white heat embossed the words, then die-cut the hope on a brown cardstock. 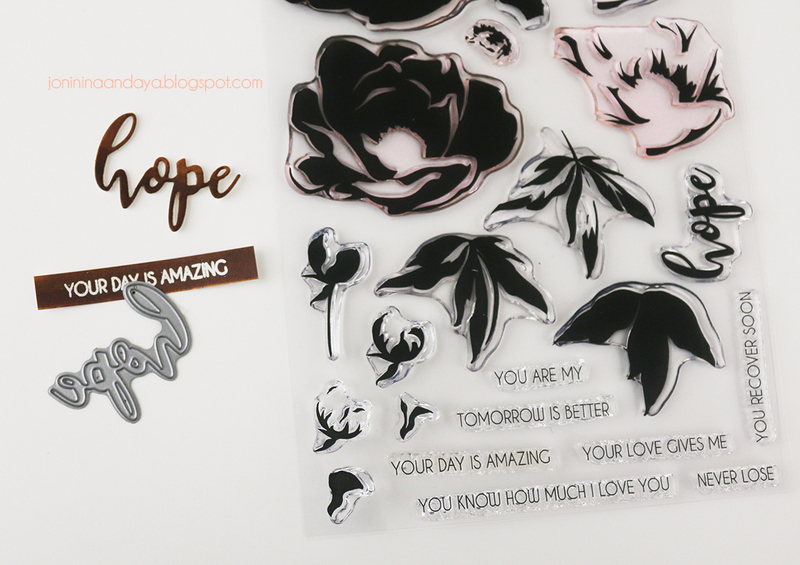 Next, I stamped the flower image using Hope Stamp Set and die-cut it with Hope Die Set. I also distressed the white card base with peacock feather Distress Ink then I glued the Mandala Mandala Die Set on top of the distressed card base. For this second card I used the new Cross Stitch Canvas Die, Sweet Rose Bouquet Stamp Set and thank you sentiment from Many Thanks Stamp set. This cross stitch die is super cool. So instead of creating a crossed stitched I simply made some embroidered on my card using the stamped image. Next, I spattered some gold watercolor ink and distressed the cardstock for added interest. For my last and final card I used the Pegboard Canvas Cover Die. I simply stitched the corners and added the cotton image from Cotton Comfort stamp set. Here's the close-up the card. To celebrate this release, Altenew is giving away a $50 gift certificate to 6 lucky winners! Please leave a comment on the Altenew Card Blog and/or Altenew Scrapbook Blog by Thursday, March 29th for a chance to win. 6 winners will be announced on the Altenew blogs on 3/31/2018. I am also giving away a $30 gift certificate, please leave a comment by March 29th. I will announce the winner on March 30. Your cards are lovely! I especially like the new Sweet Rose Bouquet. So pretty! OMG !!! Absolutely gorgeous cards Joni ..Love each and everyone of them ..This times release from Altenew is fantastic and you have highlighted it amazingly! Beautiful! All your cards have wonderful color combos. Gorgeous cards Joni! The Mandala die is incredibly lacy and pretty! Gorgeous inspiration = longer shopping list! Thank you for the smile-making showcases! Particularly love the cut-out background with the flower on top. The stitched border with the paper flower is a good mix. Your roses are beautiful! Thanks so much. Gorgeous cards. These are so beautiful! Stunning cards! Love the pegboard die. I've got to say, it truly takes talent to make the Cotton Comfort stamp set look so appealing. I'd never have dreamed it could be so elegant. Great job! I am so glad someone did some stitching on the peg board die. That's what I think I would do with that one. It makes a fun background too. Thanks for the beautiful inspiration! Beautiful cards! I love how you combined several of the new products into one project, giving so many great ideas for using them. These cards are lovely, love the brown with peacock feather color combination. All the flowers are lovely. Simply beautiful. I love that cross stitch cover die. Got my start in crafting by learning to cross stitch. Stunning cards. Love the colors and these stamps are fabulous. Your cards are beautiful and I love your color choices. Thank you for the inspiration. These are wonderful examples. I like the idea of removing only some of the dots in the background . Thanks for sharing . Gorgeous cards. Love how you used the mandala die and your stitching. WOW! What an amazing release! 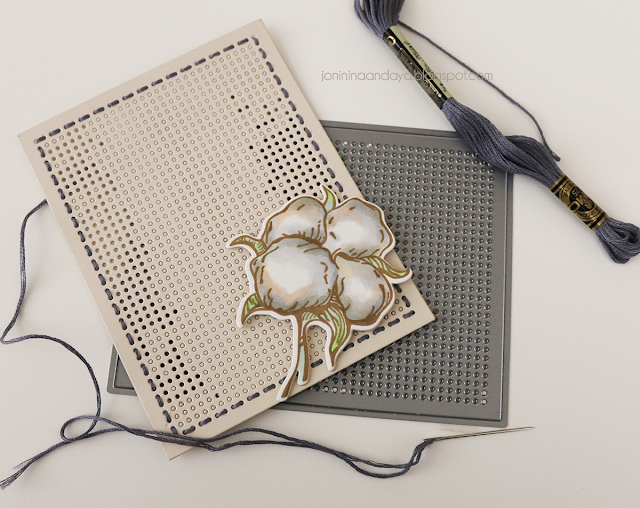 I absolutely love the floral stamps - especially the sweet rose bouquet - and I love to stitch on cards, so I can't wait to get the cross stitch die. Thanks for all the inspiration! SO So amazing! I just love the Mendelian card, with the soft blue behind it! And your cross stitching is amazing!! What talent! And on the last card I just love how some of the holes are pop out and some aren't. It gives it such an pretty interest to the card. Thank you so much for sharing your talent with us. Everyone is using the pegboard die in such unique ways. Thank you for the inspiration, definitely on my 'to-purchase' list! Joni, I love your cards. These stamp sets and dies offer so many choices and you have mixed and matched them to perfection. Thank you. I love the stitched card. Thanks for sharing. Stunning cards!! I love the new cross stitch dies!! Love your use of the cross stitch and pegboard cover dies -- just trying to decided which size I prefer! Beautiful cards! The embroidered shadows on the rose bouquet stems and petals added such an unexpected but lovely touch. Thanks for sharing all these beautiful creations! Thanks for sharing your creations. Very pretty. These look wonderful! The mandala die is beautiful with the blue behind it and I love the ways you used those background dies. Altenew has the best layering stamps. The florals are beautiful. Sure would love to win. Thanks for the chance. Beautiful cards! I love all of them! The Mandela makes such a perfect background for your card card...so beautiful! I love how you mixed the media! I also really liked the die as background to the gorgeous layered flower. Beautiful work. Such pretty floral cards - love these new sets. such wonderful inspiration with this great new release!! Fantastic cards Joni. Love the huge mandala die-cut. So cool. The pegboard die is amazing! So many possibilities! Fabulous cards!! Love this new release. Lovely cross stitching. The Mandala Die is one of three items that I especially would like to own. I really like the card you created with it. So very striking. I also think you had a grand idea when instead of cross stitching, you embroidered leaves & stems & then put the stamped flowers on it. Brilliant! 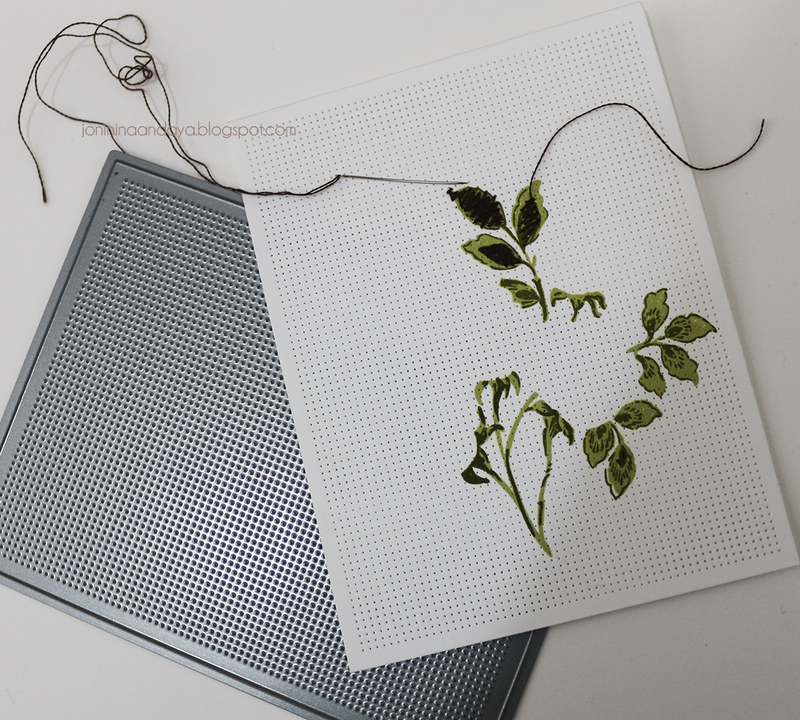 Love your thank you card...and the stitching on the leaves! Your Hope card is gorgeous! Beauty cards. Like the added details of the sewing on the cards. Gorgeous cards! Love the different ways you used the background and mandala dies! Very beautiful cards. Love the stitching detail. Awesome job! Thank you for the inspiration! LOVE your CREATIVE designs, the layered flowers are GORGEOUS, the use of the negative from the mandala so BEAUTIFUL and the stitching FUN & FABULOUS ... SO MUCH to LOVE! Gorgeous cards!! Love the depth of color on that first flower! Oh Joni, the Mandala card is stunning and I love how you stamped and cross stitched your image on that card. They are all so beautiful. Well done. oh WOW I am loving the stitching!! Awesome projects!! Card making and cross stitching at the same time, how fun is that!!! Beautiful cards! 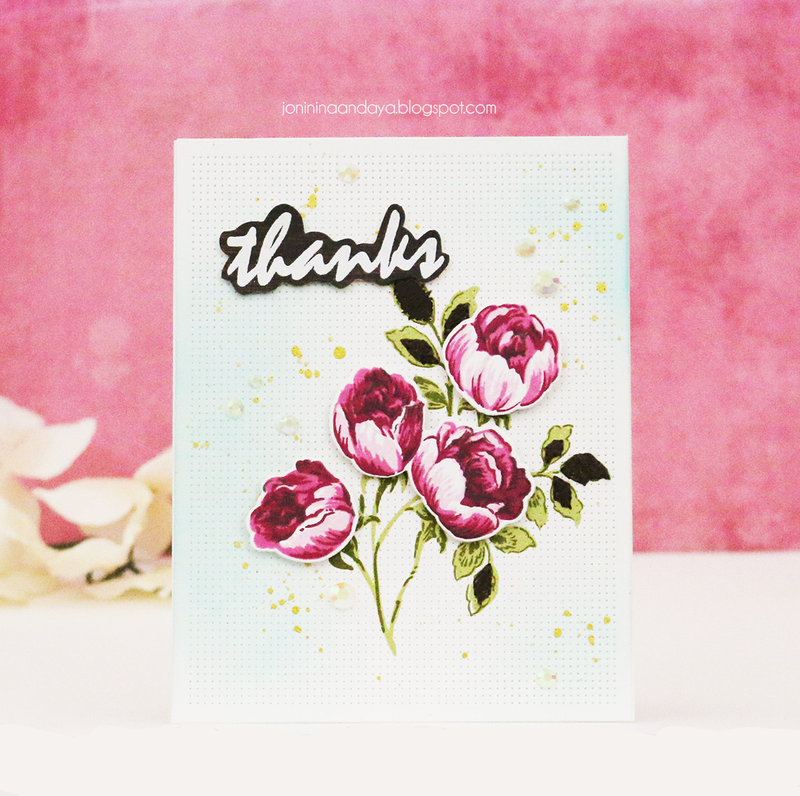 Love the ope flower and how you made the sweet rose card as well. Gorgeous! I love this new trend of mixing stitching with paper...love your different cards. Oh, oh, oh!!! I am going really fast and stamp some images on my already cut cross-stitch cardstock. Using stamps and outline stitches looks just amazing! I may have to re-make my mom's Mothers' Day card, too! (It was my first ever stitched card, and I hand punched my own very simple flower image and stitched it.) Or, maybe I will give it to her this year, and try that technique for her birthday. I am definitely saving this image to the idea file. Thank you. Lovely cards! Pretty colors and special touches! You always make such pretty cards! Love how you layered the flowers with the mandala die! Beautiful! The first card is my favorite, I love the way you used the Mandela die to make a window, very clever. Love love LOVE how you offset that mandela die, and then popped that flower right atop it. It is such a gorgeous card! Love your unique colors, too----very striking. And you are the pro with cover dies....I now want every one of them! Love the hand stitching! Thanks so much for some amazing inspiration! Beautiful cards! I love the embroidery that you did alongside your stamping on your second card. I think this is such a unique idea! These cards are really beautiful! I love the way you've used the mandala die to create a lacy look texture in the background of the first stamp. Its so elegant used that way! 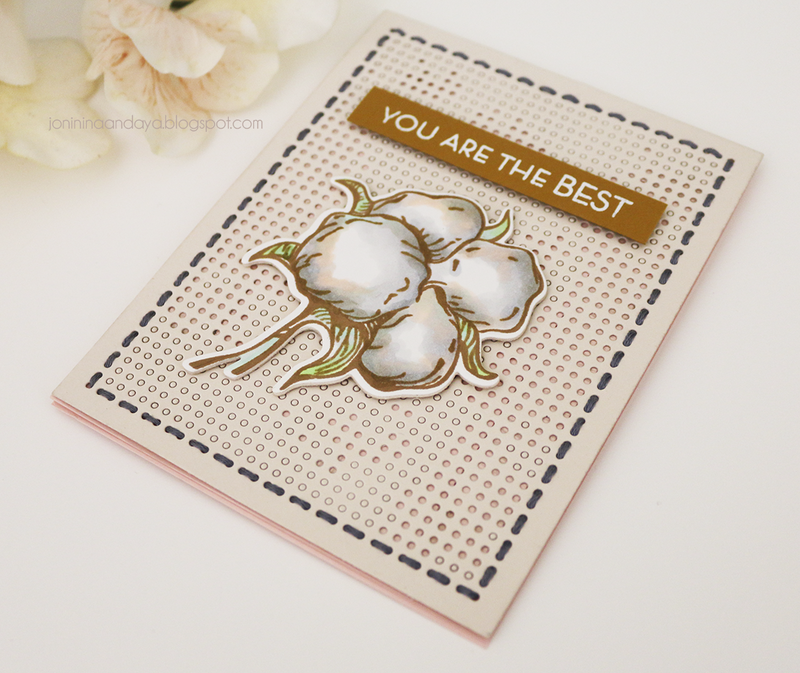 Using the cross stitch die as a background texture really enhances the Sweet Rose Bouquet set too. Love that and also love the soft touch of blue in the backgrounds! Gorgeous cards! Love the mandala background for the beautiful flower in your first card! Really creative! Love All your projects thank you for sharing! 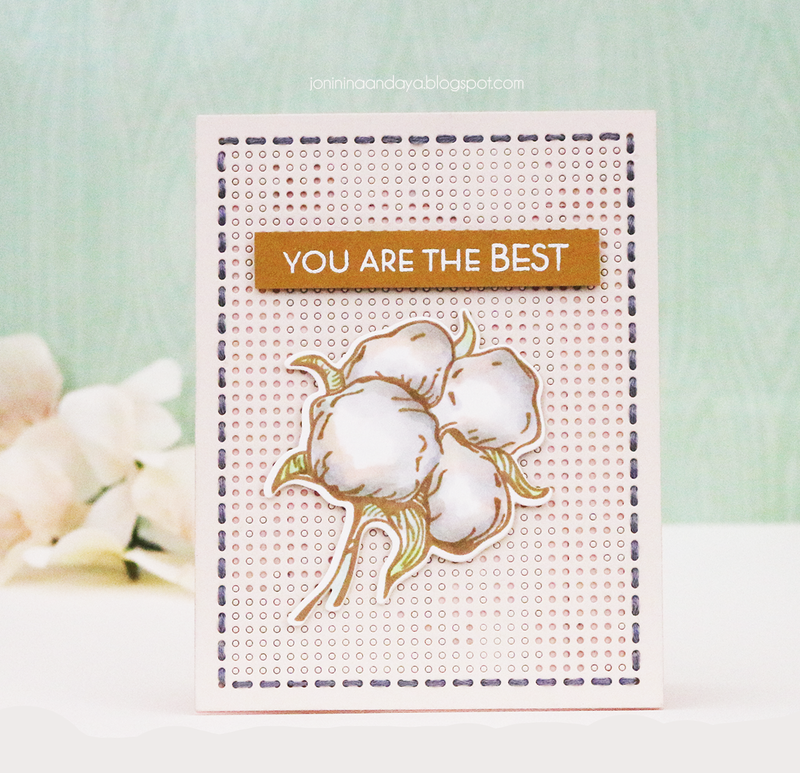 Love the way you used the gorgeous Mandela on your first card! The Rose Bouquet is my favorite of the new release & your card just shows me why. Love it! Beautiful cards and lovely release. Thanks for the inspiration. Beautiful cards! I love those added touches that make your backgrounds pop! What an ingenious idea to add the stitching with the inked roses! Delightful!! These are all so beautiful, but my favorite is the card with the cross stitched leaves and the stamped roses, stunning! Awesome cards! I especially love the first card, it is so striking against the mandala die cut! Wow...I definitely need to come back and spend more time on your blog...loads to learn from you!! Stunning cards! Fantastic color combination on the first card. Love the stitching on the other 2 cards, adds such great texture. I love what you've done with all your cards, but I think I like the cross stitch canvas die is quickly becoming one of my favorites. You can us it with any stamp to create a beautiful cross stitched image. Love it. Thank you for the inspiration. I love how you used the mandala as a background beautiful cards! This mandala is so beautiful! Love the new cover dies Altenew is releasing this month. Always so many wonderful items. great release. love the rose bouquet card. thanks as always for sharing. The way you used the mandala has given me some great ideas! Thanks for sharing; gorgeous cards. Love your cards. The use of the mandala for the background is so creative and beautiful and your coloring is awesome. I am so taken with you beautiful way you made these scrumptious cards! The first card's colors I LOVE!!!! So vintage Shabby chic! The next two with the actual cross stitching are so fabulous and am loving the textures!! Framing with the threads or adding depth to the leaves! Shows you are so talented and clever with design and gorgeous execution! Am in awe! Gorgeous cards. I love the clever ways you have used the new stitching dies. to reload the site a lot of times previous to I could get it to load correctly. 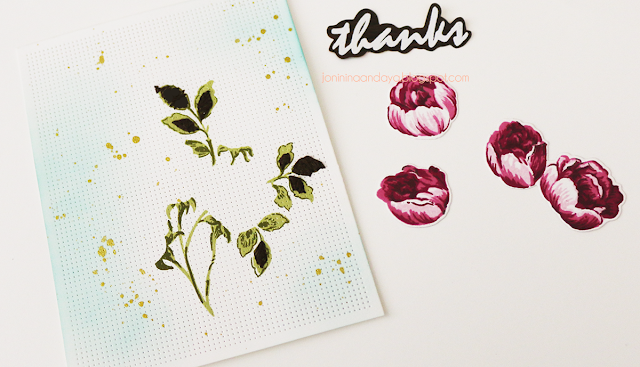 Am in love with the sweet rose bouquet stamp and your card is perfect proof of why, gorgeous. The pegboard die is a fantastically fun element to add to any card whether using it for stitching or effects. Super beautiful creations!! Each card is awesome!! Your cards are lovely. I really like the mandala background. Wow, what a stunning combination! I love how you just stitched around the edge of the canvas die to show another creative way of using the die. I'm coveting that die and the cross-stich die - they are both so versatile. I have been a cross-stitcher for many years, so I love being able to combine both art forms. Your cards are beautiful, Joni! 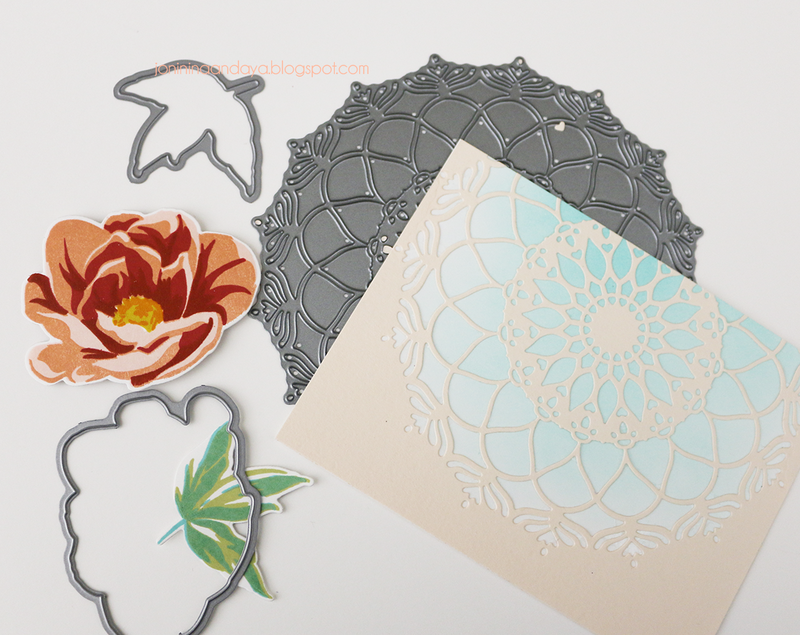 Your first card with the mandala die cut and that awesome flower is so gorgeous! Your cross stitching cards are so creative and really pretty! Thanks so much for sharing!! what amazing creativity you have. super pretty! thanks for sharing!! all of these are so pretty. Loving the Sweet Rose set. Love the little detail of stitching on the stamped leaves! What a great way to add texture and dimension. Thanks for the inspiration. You have done a wonderful job highlighting this release and the possibilities. Beautiful cards! Beautiful cards. That Mandala die is gorgeous! AMAZING Inspiration!! I LOVE LOVE LOVE all of the Ideas!! Such SWEET New Products too!! Lovely designs. I love the mandala die! 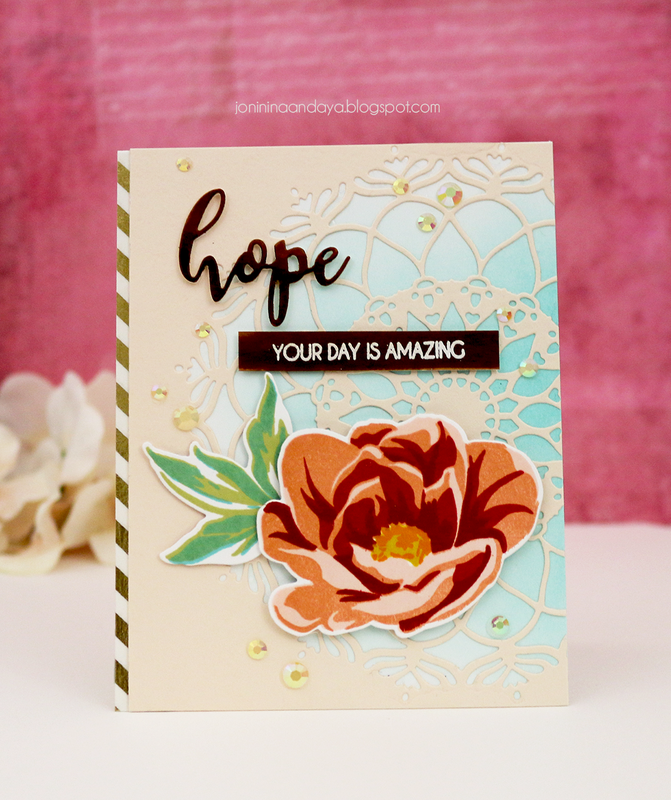 Your card with the pretty flower and hope sentiment is perfect together. Fantastic cards! I love the peach colour in the first card - not a colour I typically turn to, but it's so pretty! Love the cross stitch look! These are gorgeous! I love the stitched leaves on your one card! I love the colors you used on your first card. They all feel a little unexpected, but they go together beautifully. And the stitching you did is lovely. The embroidery style is really expressive, and then the outline on your final card was just the right touch to frame the card. I really enjoy your work; thank you so much for sharing with us! Fantastic cards! I love how you did the embroidery on the leaves! What a great idea! Thanks for the inspiration! Beautiful - love the stitched accents and especially love the soft blue shading behind the mandala cut out! PPP - March 2018 Release Blog Hop!